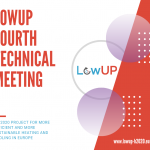 LowUP – which stands for ‘Low valued energy sources UPgrading for buildings and industry uses’– will contribute to achieving Europe’s GHG reduction targets and increase energy efficiency. The project will develop and demonstrate three new efficient heating and cooling technologies that will significantly reduce both CO2 emissions and primary energy consumption. Heating and cooling refers to the energy needed to warm and cool buildings, both residential and tertiary (i.e. office buildings, hospitals etc.) and includes the energy needed in nearly all industrial processes to manufacture products that we use every day. It accounts for 50% of the EU’s annual energy consumption, of which 85% comes from burning fossil fuels, mostly coal and natural gas. 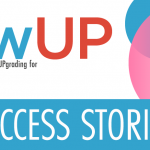 Led by the Spanish firm ACCIONA, LowUP gathers 13 partners (3 large companies, 3 research and technology organisations and 7 SMEs) from 7 European countries. 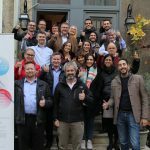 During 42 months, the consortium will develop and demonstrate in a relevant environment one heating and one cooling system for office buildings, and one heat recovery system for industrial processes. In 2013, Pozzi patented a newer model of the rotating heat recovery system (called RHeX), now part of the LowUP project. Major benefits of this rotating heat recovery system are the added pumping action which allows for smooth treatment of viscous effluents and increased efficiency even with fluids at lower enthalpy. The fields of applications include textile, food and beverage, tanneries, industrial laundries, tank cleaning, sewage treatment, semi-residential facilities like hospitals, hotels, large buildings and wherever large quantities of very dirty effluents are discharged. RHeX efficiency is constantly high since it is not affected by fouling. This is an outcome of the fact that it is rotating – dynamic in comparison to other types of static heat exchangers. Moreover, the new lenticular disks, which were developed under the LowUP project, make RHeX more robust and space efficient than its previous model RCR (and its copies). Energy savings can be easily calculated with an algorithm. They normally are very high, up to 80% savings, depending, of course, on the difference between incoming dirty hot water and cold clean water temperatures. One important innovation is the modularity of disks which can be easily changed in case of any (rare) rupture (with RCR it was necessary to change the complete rotor). Besides the already mentioned advantages, RHeX is easy to install and possesses the high quality of manufacturing materials. In the market, we position ourselves at the top level as for performance and results both cost and energy wise. 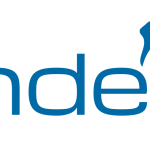 In addition to being competitive in terms of capital expenditure, operating expenditure, return on investment and lifespan, RHeX is certainly a sustainable technology and obviously environmentally friendly. Discover more on RHeX! Pozzi Leopoldo SpA started in 1885 as a family-owned and world-wide known manufacturer of textile machinery. 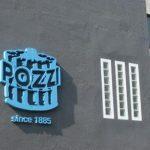 In 2010, it became Pozzi Leopoldo Srl and added energy efficiency consulting and engineering with the production of a patented highly efficient rotating heat recovery system for heavily polluted effluents (called RCR), reaching far beyond the textile industrial field.